It turns out that event organizers for Thursday’s Make America Great Again! 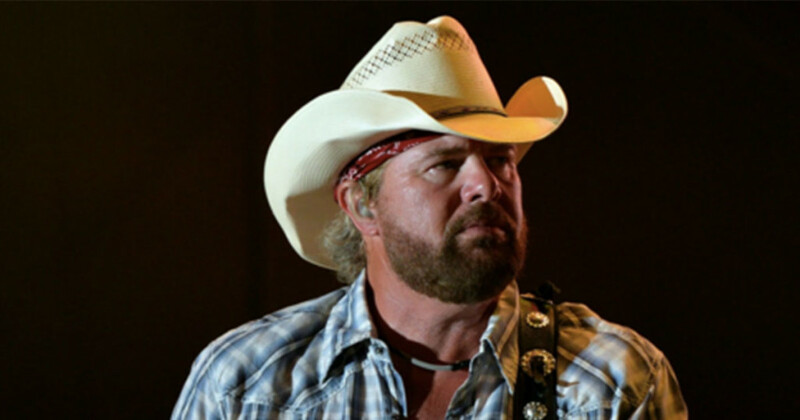 Welcome Celebration have announced on Friday that Toby Keith will be among the artists who will take to the stage. Later that day, Toby Keith had responded to critics of his determination to perform for Donald Trump’s presidential inauguration. On Saturday, Broadway star Jennifer Holliday backed out of her commitment to perform at the inaugural, saying she did not realize that her involvement would be interpreted as a statement of support for Trump – which it isn’t…but try telling that to the radical Tweeters. The Courtesy of the Red, White, and Blue balladeer will join other artists like 3 Doors Down, Lee Greenwood, The Piano Guys, the Frontmen of Country and more on the occasion set to take place on January 19th at the Lincoln Memorial in Washington, D.C. The announcement adds some famous person power after weeks of troubled searching to nail down some celebrity performances to commemorate the President-elect’s swearing-in. All of the headliner’s decisions to do business with the inaugural were of course met with mixed reactions on social media. Holliday, who dropped out, is best known for her Tony-winning role in Broadway’s Dreamgirls. She, on the other hand, has taken a beating online and was faced with pressure from her gay, lesbian and black fans when it was announced she would sing at a Thursday concert. Holliday, who backed Hillary Clinton during the election, responded: ‘It just really made my heart drop to my feet. ‘How could I have this much hate spewing at me, and I haven’t even done anything?